You are here: Home / Coeliac Disease / 9 White Deer Brewery innovations rewarded! 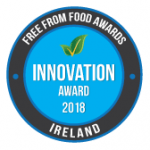 9 White Deer Brewery from Baile Bhúirne in the Muskerry Gealtacht scooped no less than 6 Awards recently at the Free From Food Awards Ireland. The event is run annually to recognise, encourage and reward the achievements of producers and the excellence of their products. 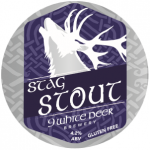 9 White Deer won a total of six awards on the night, two of which were for gluten free draught beers – Stag Stout and Ól-é Pilsner and were awarded for Innovation as the brewery is doing things that have not been done before! 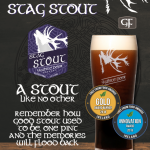 The other awards were two gold medals for Stag Stout on draught, and the bottled version with added chocolate and vanilla available in the Stag Saor range. There were a further two merits awarded for Pilsner and Pale Ale, also in the bottled range. The company now has 7 out of 11 of its beers gluten free, and is Ireland’s best known gluten free brand, working to spread the word with others who are so passionate about gluten free products. 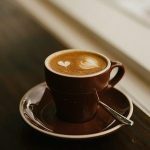 Having a gluten free offering in bars and restaurants is now essential, and now that offering can be better than the gluten containing original! The draught stout in particular is every stout lovers dream, smooth and creamy like it once was. 9 White Deer have been making life more normal for Coeliacs, or anyone who can’t tolerate gluten in their diet since 2015. Many of us enjoy a pint with good company – being limited to cider, spirits or wine is no alternative to beer when you just want a beer – it should be just good beer. With over 50 gluten free draught taps around the country and the bottles available nationwide through Supervalu, good bars and restaurants and independent off-licenses – it should not be too far away from you !